Being a Tiger is a source of pride for Devon and Derek Norris. “I never really considered going anywhere else,” says Derek, a third-year kinesiology student and guard for the Dalhousie men’s basketball team. Derek says his decision came easy because of his older brother, Devon, who was a member of Dal’s basketball team from 2004-08. “Growing up, I was always at Devon’s games, especially with it being so close to home,” says Derek. Following graduation from Dal, Devon went on to play for the Halifax Rainmen for one season. However, after discovering he had skin cancer, he had to take a step back from basketball. 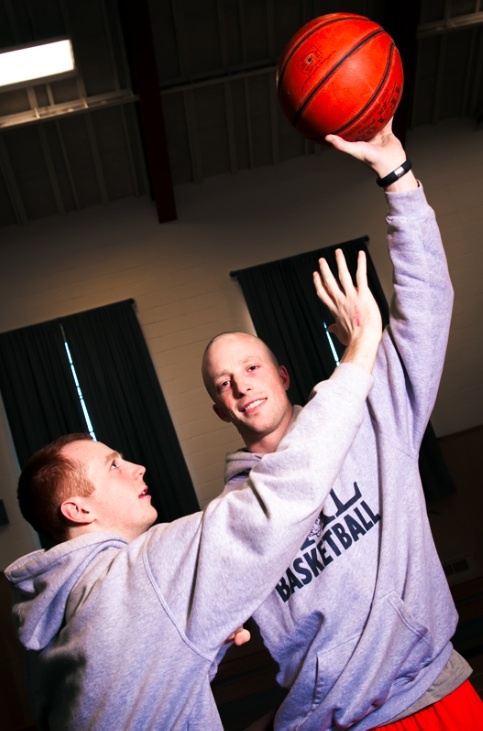 Devon currently is the strength and conditioning coach for Dal’s varsity program and an assistant coach for the men’s basketball team, where he gets to see Derek play daily. Originally from Tantallon, N.S., the Norris brothers started playing ball at an early age. Devon says their competitive nature started when they were kids and still lingers today. Family has always been a main priority for Devon and Derek and they attribute much of their athletic success to the support base created by their parents. “It’s going to be up to him to do what he has to do,” says Devon, still looking out for his younger brother. Graeme is the Gazette's Sports Editor. He was the Assistant Sports Editor for Volume 145.